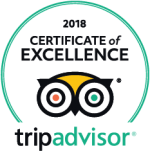 Visit the Top Ecuador Highlights! Although it’s one of the smallest countries of South America, Ecuador is a country with an amazing diversity! 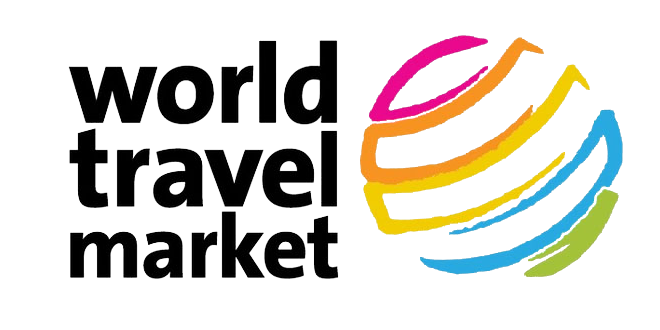 Take this 14-day tour throughout the highlights of this incredible country and discover the magnificent views, the culture and the people so you can get a true sense of the country. 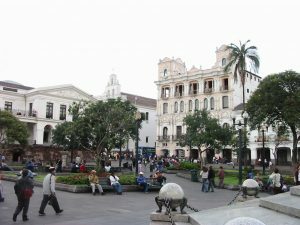 Our guide will help you make the most of your time in Ecuador! We start our tour at the perfect place to begin, on the Equator! Take your picture at the “Mitad del Mundo” monument as you stand simultaneously in both the Southern and Northern Hemispheres. During our next stop at the Museum “Intiñan” you will see for yourself the uniqueness of the midpoint of the Earth. 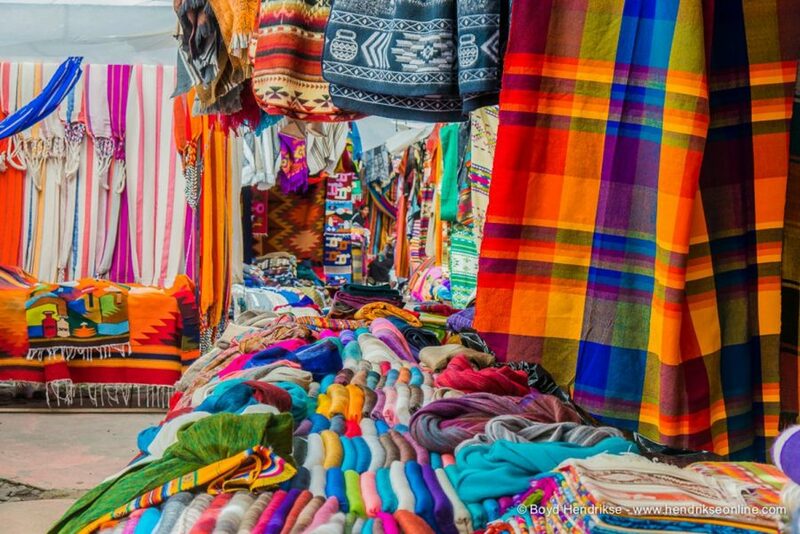 Discover the most famous artesian indigenous market Ecuadors in Otavalo, where you will have free time to explore and purchase local handicrafts and where our guide will provide an explanation about the local indigenous culture. We continue to the beautiful lagoon Cuicocha. 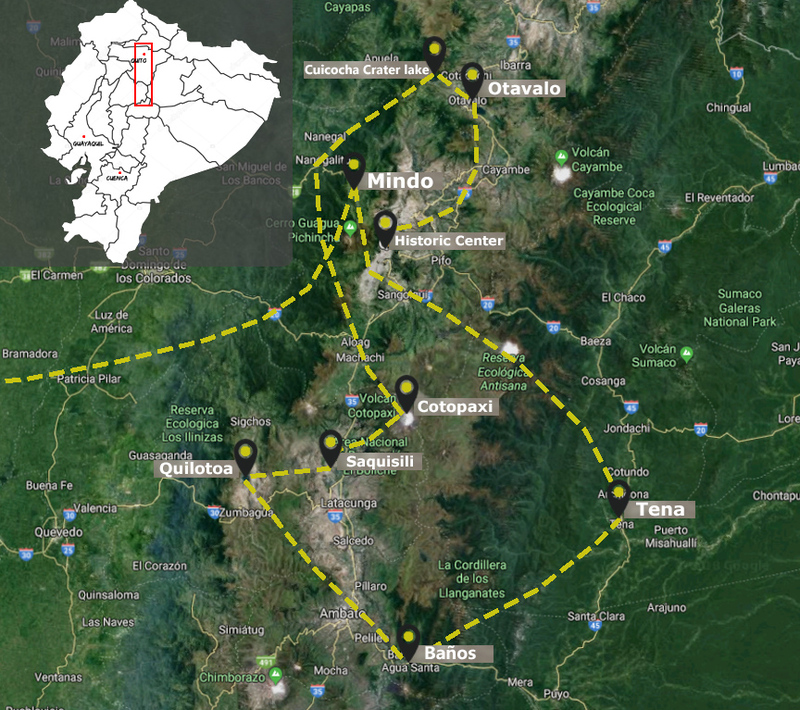 Our final stop will be in Cayambe where we will taste the town’s famous bizcochos. 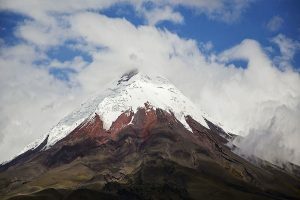 Being one of the highest active snow-capped volcanoes in the world, Cotopaxi’s symmetric cone rises from a vast plain that is home to llamas, condors and herds of wild horses. This amazing adventure includes hiking, biking and scenic drives through the parks majestic landscape. We will also share information about the different fauna, flora and history of the park. You begin with a visit to the local market in Saquisili. 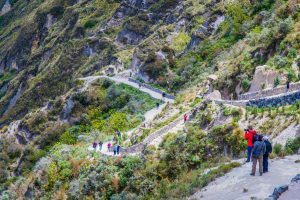 Enjoy the beautiful view of the Andes on the drive to the lagoon of Quilotoa, where you will pass through the ancient canyon of Zumbahua, many towns and farmlands. Before lunch we will visit an indigenous home where you will have the opportunity to interact with local people. The tour ends with a hike down into the extinct volcano crater to the lagoon of Quilotoa. Beautiful waterfalls and lush forest surround the tranquil town of Baños. We begin the day with a cable car ride through the trees. Then we visit the famous natural hot springs for a swim. And finally the day wouldn’t be complete without watching the eruptions of the Tungurahua Volcano (from a safe distance of course). Spend two days in a jungle lodge on the shores of Ecuadors majestic river Napo, just under the eastern slopes of the Andes. Perched comfortably above the riverbank in the small Quichua Indian village of Ahuano, the refuge overlooks a vast tropical rainforest. 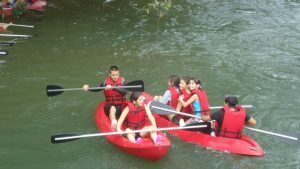 You will have plenty of time to explore the river Napo by boat or to walk through the jungle on one of many trails. 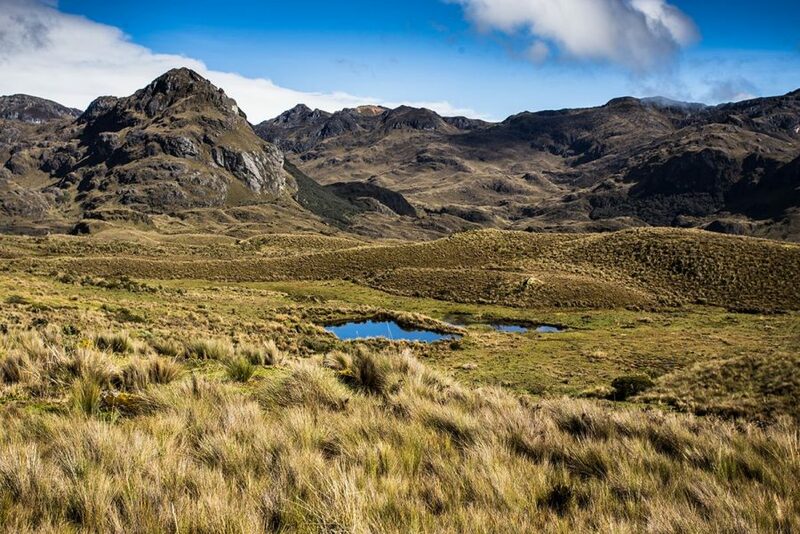 On the way back to Quito we stop at the Termas Papallacta spa for more rest and adventure. Prepare to be amazed by the colorful attractions of Mindo, where we visit a beautiful waterfall and then head to a butterfly farm where you will have the chance to encounter hundreds of different species of native butterflies. Complete your afternoon with a tubing trip down the river, or an exhilarating flight through the trees on the canopy ropes course. Day 10 – 14: Galapagos! 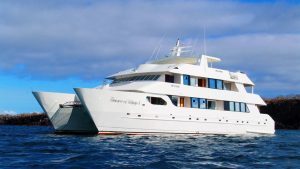 Spend an unforgettable five day-trip on a private yacht visiting the Galapagos Archipelago.